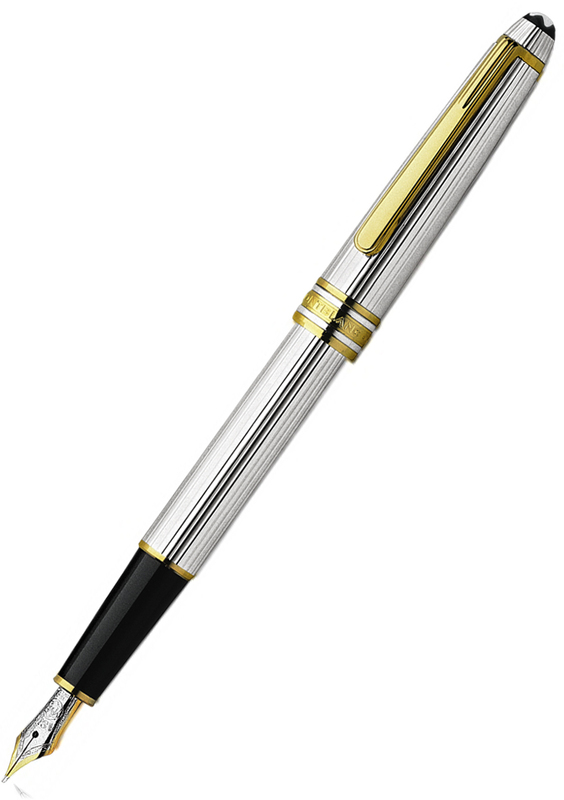 Cartridge fountain pen (no converter) refills can be bought separately. 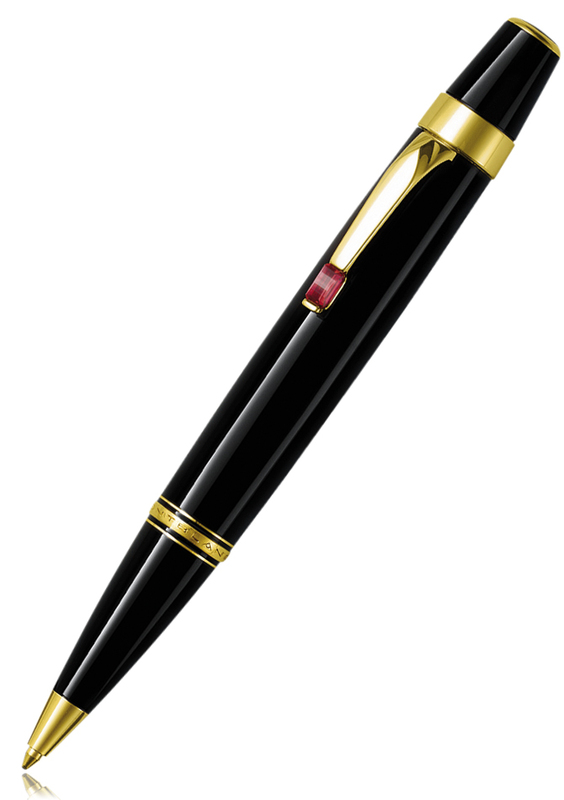 Hand-crafted 14 K red gold nib. 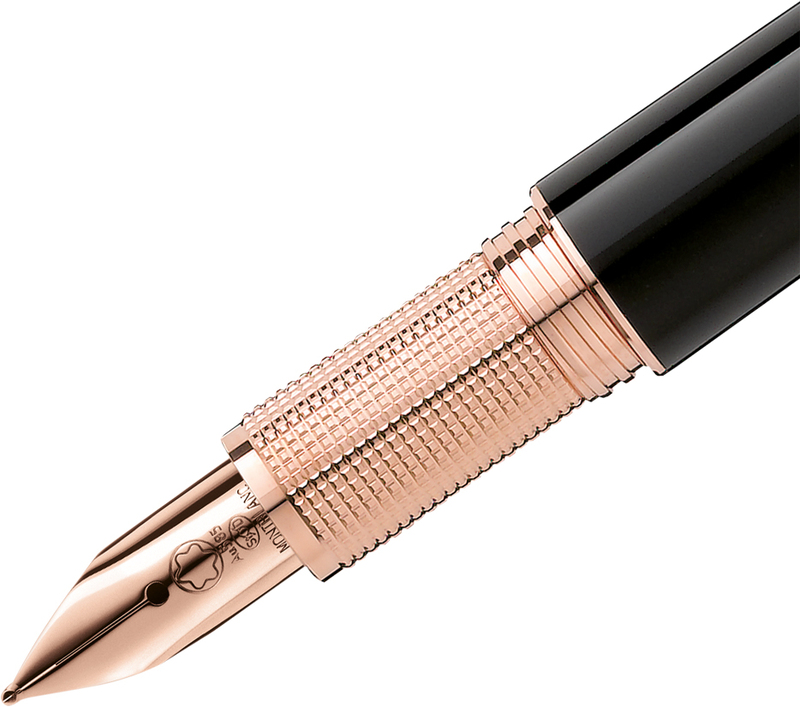 Red gold-plated fittings. 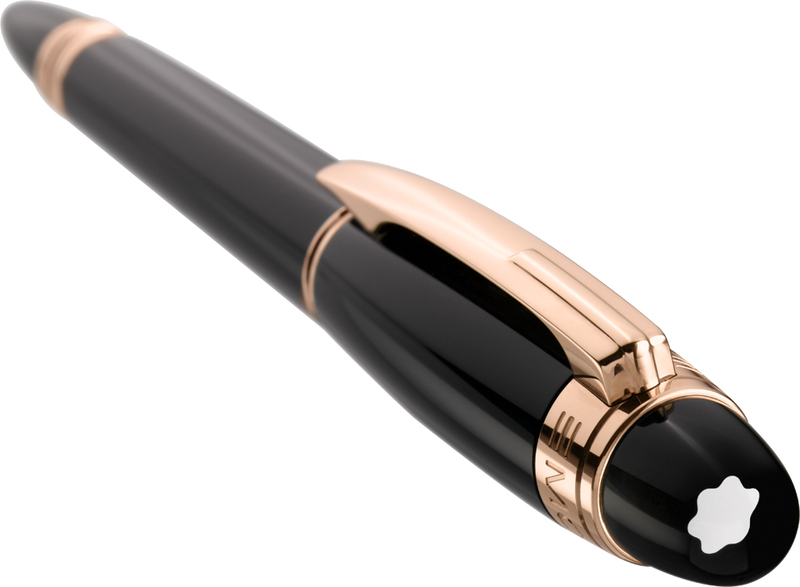 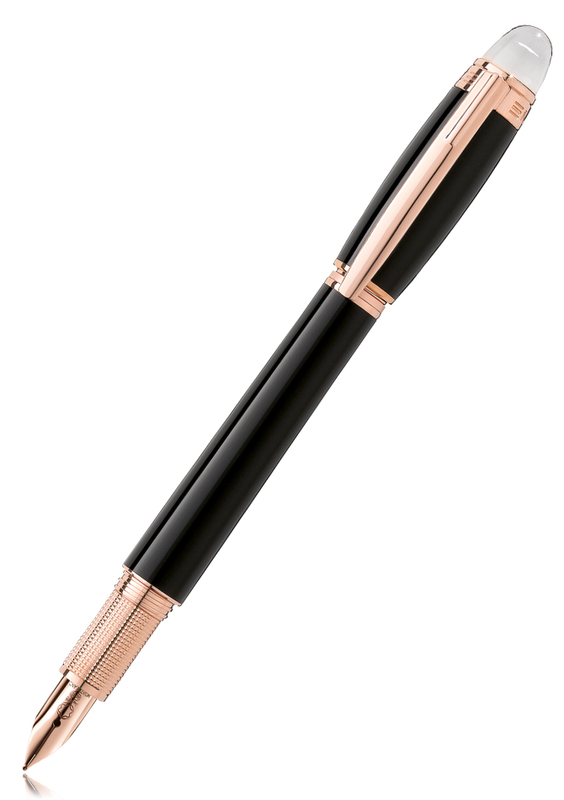 Red gold-plated clip with embossed Montblanc brand name and individual serial number. 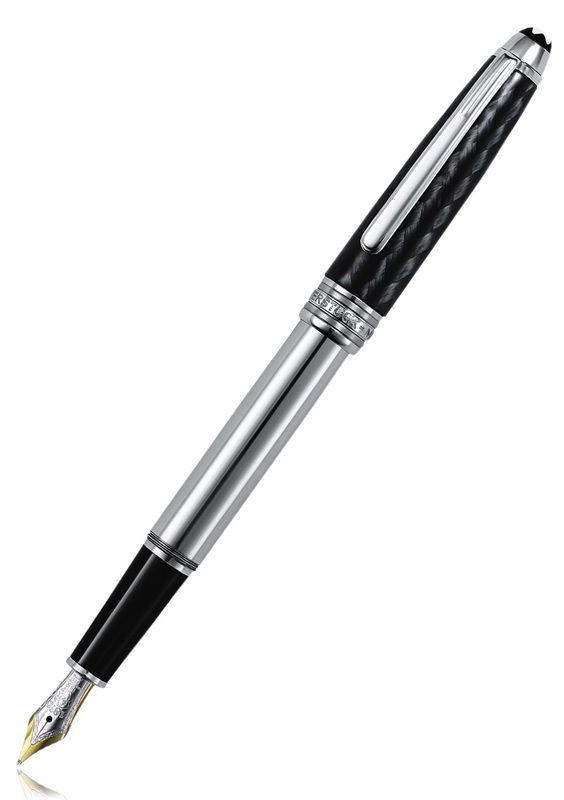 Floating Montblanc emblem in transparent cap-top.